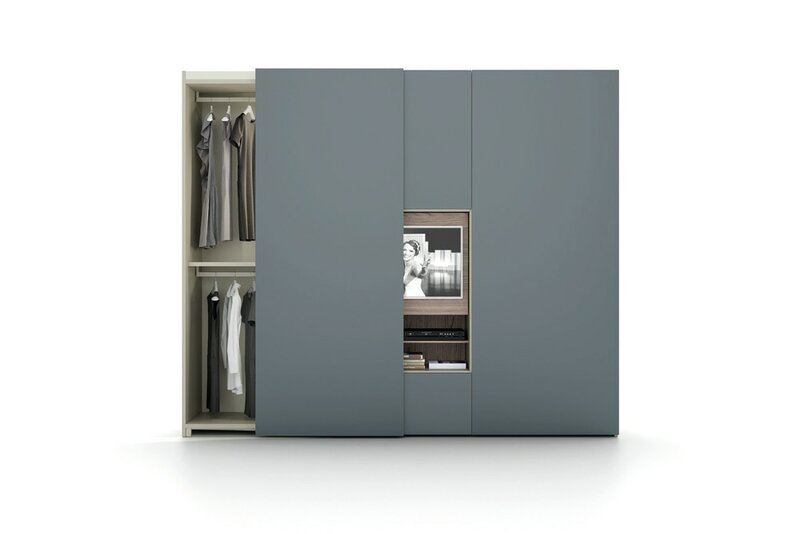 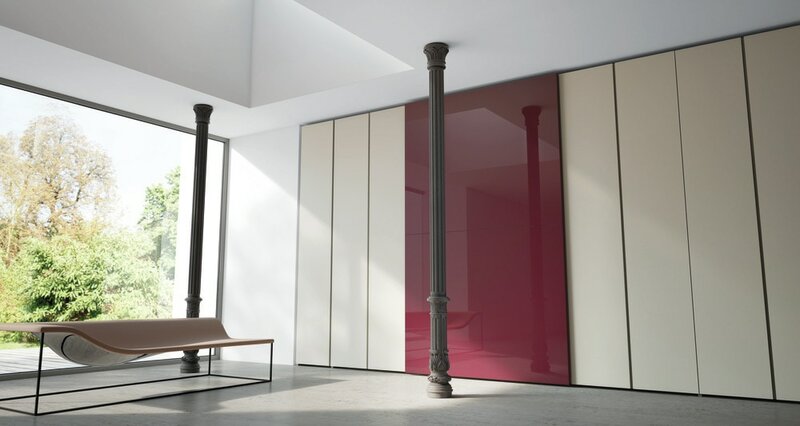 Caccaro presents an articulated system of elements for the interior organisation of wardrobes, designed to optimize storage capacity and keep all garments and accessories neat and tidy. 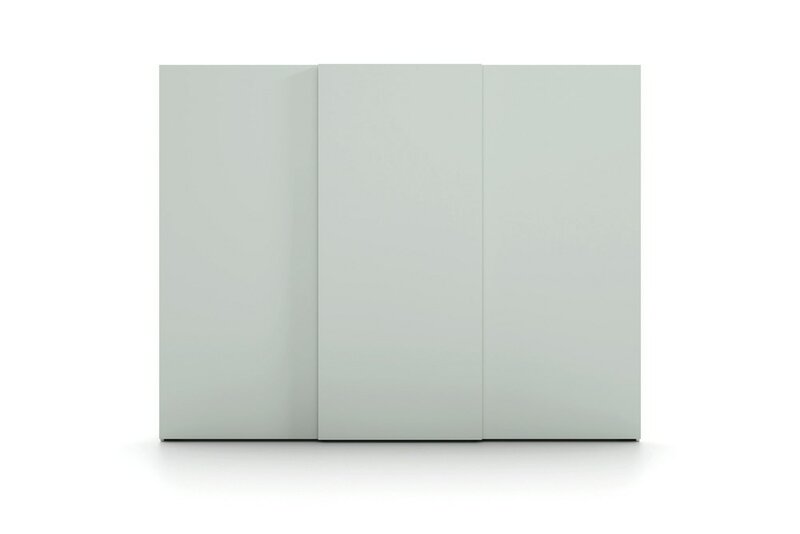 Two different opening systems for doors that open to the utmost, aligned when closed, creating a single surface or superimposed and slightly detached. 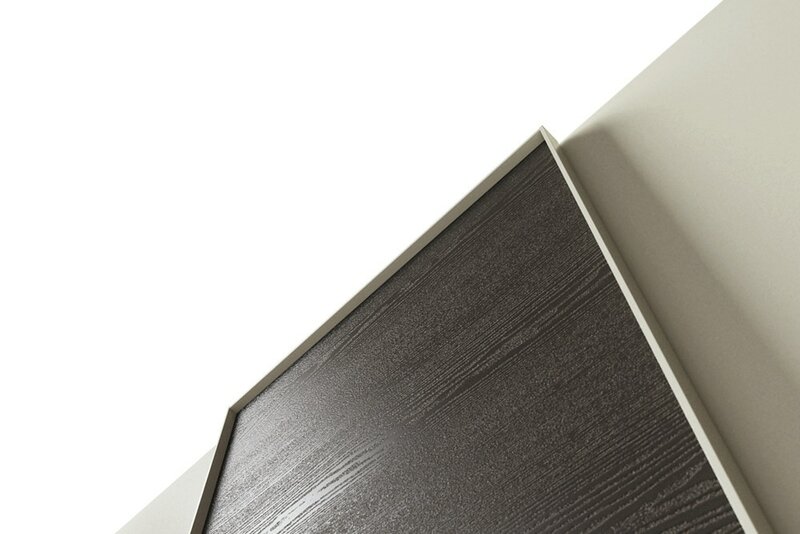 The absence of protruding handles allows a specific composition for any space.